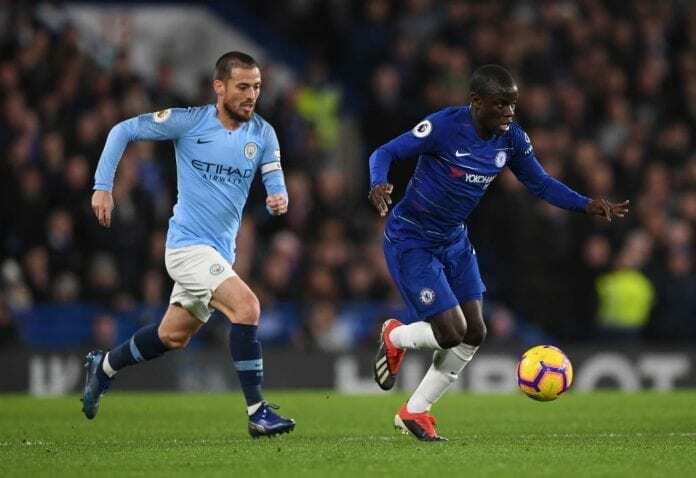 Maurizio Sarri has remained obstinate about switching N’golo Kante back into Jorginho’s deep-lying role and pleaded with Chelsea fans to give Gonzalo Higuain time. 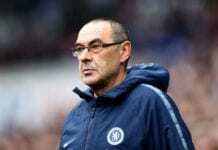 Chelsea fans have been critical of the way Sarri employs Kante in the middle of the park after Jorginho assumed the role of a defensive midfielder which has been linked to the club’s problems. While new signing Higuain is yet to open his account for Chelsea after two appearances. And Sarri opened up why he decided to go with his current formation. “Could Kante play in the Jorginho role? Only 20 minutes if I have to defend a result,” Football Italia quoted the former Napoli boss as saying. “How do I think Jorginho has adapted? It depends upon what you want from Jorginho. If Jorginho you want the last pass, he has not adapted. “Jorginho is very able to move the ball, to build up the action, but Jorginho usually plays at 40-45m from the opposition goal, so it’s impossible for him to make the last pass. Jorginho is very good for another job. 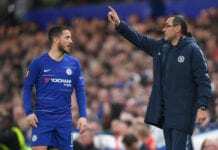 Sarri also pleaded with the club fans to exercise patience with former Napoli forward Higuain. “At the moment, Higuain’s not at the very top, physically. In the last 45 days, he played a few matches only. Because of his back, but also because of his involvement in the market.